Xiaomi has queued up many products from its grand portfolio out of which Xiaomi has released a walkie-talkie that will go on sale on March 3. Kudos to the design that come in a smooth outside finishing in white colour that has given a rich and premium feel. The walkie-talkie comes in a pair suitable for 2-way communication in different locations. The walkie-talkie comes inbuilt with FM radio that lets you entertained apart from the communications. The device comes with a durable battery which company says that the device can run for continuous 8 hours. It supports Azimuth sharing and comes with UHF frequency range of 403-470MHz, and VHF frequency range of 136-174MH. These frequencies allow talking seamlessly in densely populated areas also. 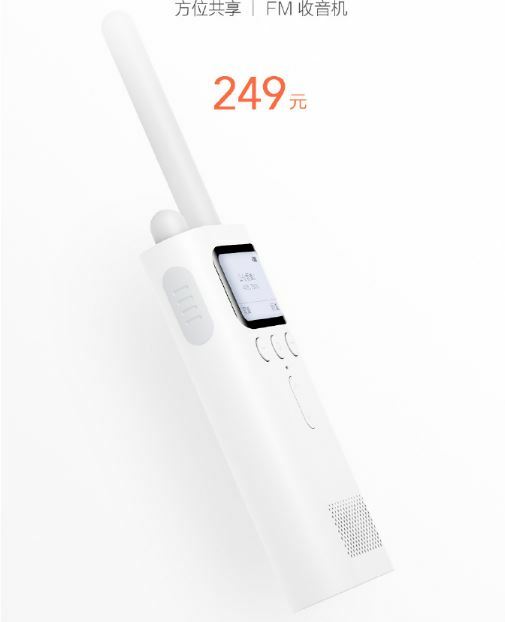 The device will go on sale on March 3 on various e-commerce sites in China - Xiaomi Mall, Xiaomi home, Jingdong, Lynx and Suning. Priced at $36, is definitely a good one to go with.